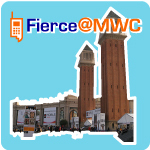 BARCELONA, Spain--The GSMA today launched the Voice over LTE initiative (VoLTE) to develop a specification for delivering voice calls over LTE networks. The GSMA's effort will build off the work of the One Voice alliance. Supporters of VoLTE include more than 40 companies including operators such as AT&T, Deutsche Telekom/T-Mobile and Verizon Wireless and manufacturers and equipment vendors such as Acme Packet, Alcatel-Lucent, Ericsson, Motorola and more. The GSMA said that One Voice--which is an IMS-based take on voice for LTE networks--will develop the specifications for interconnection and international roaming among LTE networks. That spec is expected to be complete by the first quarter of 2011. The news strikes a strong blow to other groups working on voice over LTE, including the VoLGA Forum, which promotes Voice over LTE via Generic Access technology. VoLGA has positioned itself as a solution to delivering voice and SMS services over the all-IP architecture of LTE networks. However, few carriers have thrown their support behind the approach. In November, Verizon Wireless, AT&T, Orange, Telefonica, TeliaSonera and Vodafone announced backing for the One Voice approach. T-Mobile International was a key operator supporter of VoLGA and now is listed as one of the members of VoLTE. In a separate announcement today, the VoLGA Forum said its solution outperforms current 3G network call-setup times by nearly 40 percent. The group also said that its testing showed that VoLGA delivers call set-up times 65 percent faster than other voice-over-LTE approaches, such as circuit-switched fallback.